This month has been amazing for me in the Studio. I was first featured in Brickell Magazine as an emerging artist to watch in Miami. 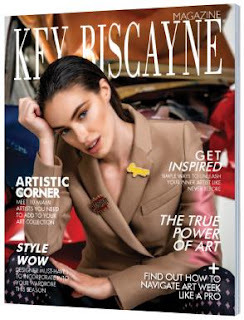 Now, Key Biscayne Magazine features the CSD Studio as well! It's not too late to order your special someone a piece to stick under the tree!